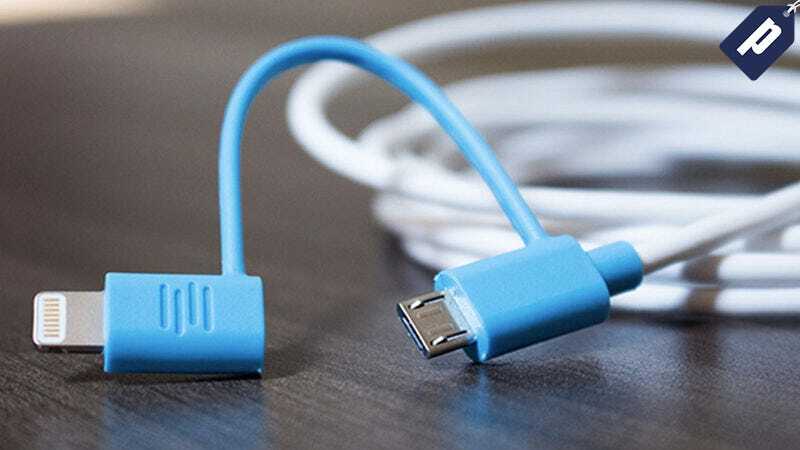 Micro-USB is the standard charging connector for most modern electronics... except for Apple’s iOS devices. Luckily, this 6 foot, 2-in-1 cable comes with a detachable MFi-Certified lightning adapter so you can charge either from a comfortable distance. Right now you can get two for the price of one - just $14.99 + free shipping. This 2-in-1 cable solves the issue of having to keep track of two separate cables to keep all your devices charged up. Plus, it’s 6 feet long so you can get some space between you and your power source. You’ll only need one cable for practically any device, but this offer gets you two for the price of one - leave one at home and take another for the car. Grab yours at the link below.